This elite class of transformers morph from a tiny package into a glorious 5 gallon warrior. This one is made of silicone, making it flexible but still strong enough to hold up when filled to the brim with sticky notes, fish, lego, or whatever else. But you gotta be careful with these things! I had a noodle strainer made out of the exact same material and it eventually started to crack along the seams! It took about 3 years of frequent use and dishwashing cycles. 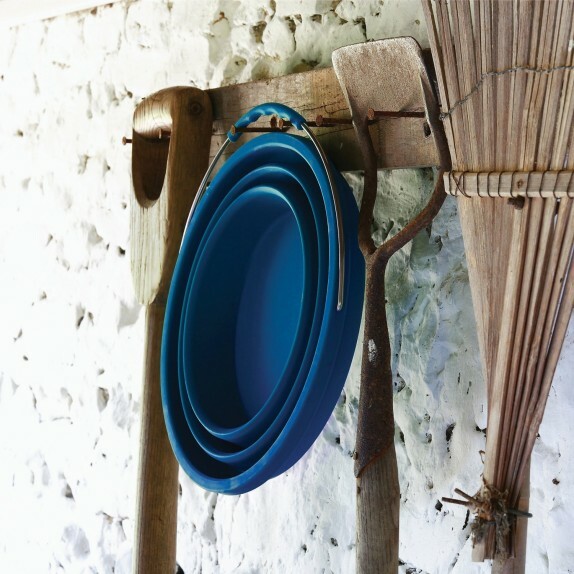 If durability counts, you should be looking at a standard plastic bucket or even a heavy duty metal bucket. Last time I talked about the collapsible silicone bucket, it was available in the UK only but since then it’s made it overseas and you can get your hands on one over on the Infusion Living Amazon Store. The “Seattle Sports” collapsible takes the award for rolling up the smallest. Instead of a big flat disk it curls up into something about the size of a toothpaste roll. My biggest worry was that this foldable bucket won’t have enough structural strength to hold liquids. 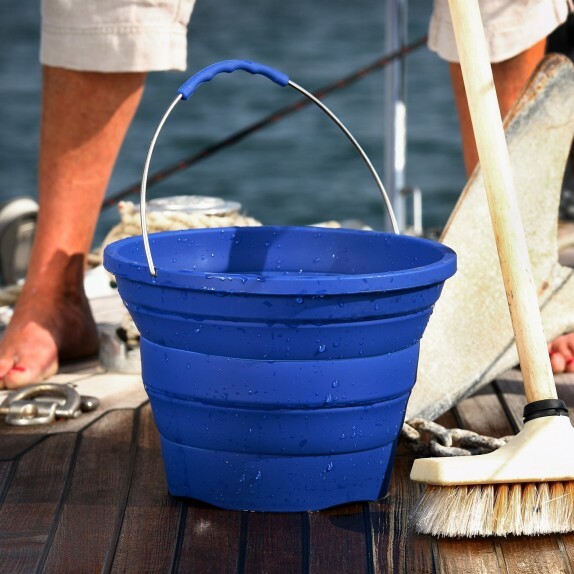 However, in the reviews for this bucket, we are assured that the bucket holds water amazingly well, whether it’s sitting on the ground or you’re carrying it with the attached fabric handle. Photos from people who have purchased it show it filled nearly to the brim with water, and it shows no sign of sagging. It’s designed for backpackers, who need every micrometer of space since they carry everything they need on their backs. You can click the above picture for a zoomed in view and get more product details on Amazon. Try looking up “dry bags” these are bags very similar to this one. However, when dry you can put items in them that must stay dry. Next you simply roll up the top and snap the buckles and you have a sealed container that floats! Get to camp, dump out your nice dry clothes and fill ‘er up with water and use it as a bucket! If it can keep water in than it can keep water out! Great site BTDubs. Seriously, how is all this going to fit in one bucket? You haven’t done this yourself, have you?